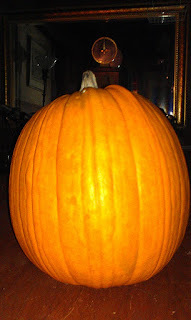 ...I weighed our Great Pumpkin. It is now fully orange and weighs in at nearly 18 pounds. BOO!! !